I don’t know about you, but I almost thought that fall would never arrive. But it finally DID, and fall aster arrived with it. This is one of our great Central Texas natives that can always be relied upon to rejuvenate our gardens and our spirits after a long, hot and dry summer. 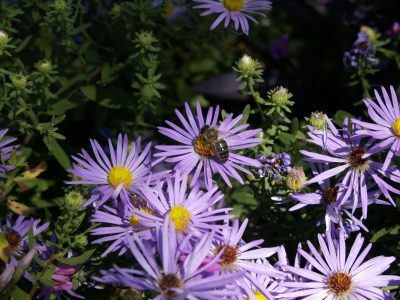 Fall aster is a smallish, mounding plant, usually staying less than 2′ tall and about as wide, although it can get as tall as 3′. It looks great planted in the foreground of other fall flowering plants, and along the edges of planting beds. These little guys are simply covered in flowers in October and November, making them a real show-stopper in the autumn landscape. Bees, butterflies, and other insects love this plant for its fall nectar. Fall aster is a perennial and is hardy all the way to USDA zone 4, so it has no trouble at all with our winters here in Central Texas. 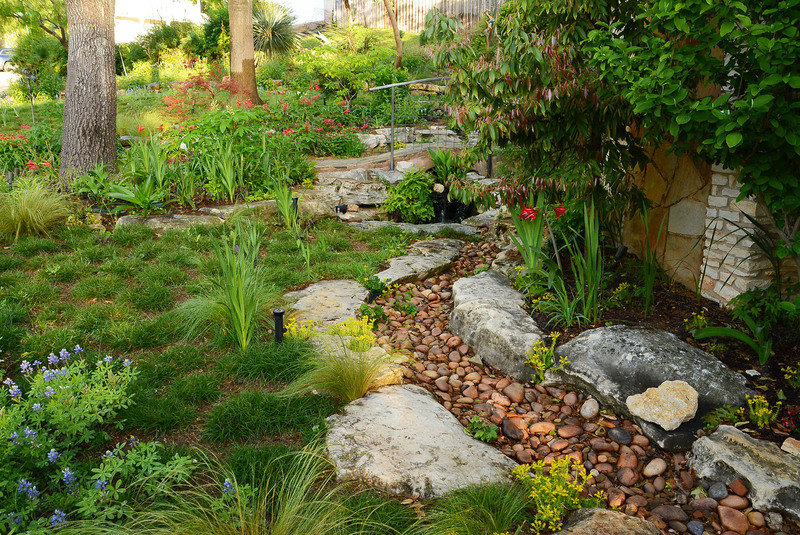 It prefers well-drained soil and needs very little water once established, so be careful not to overwater it. 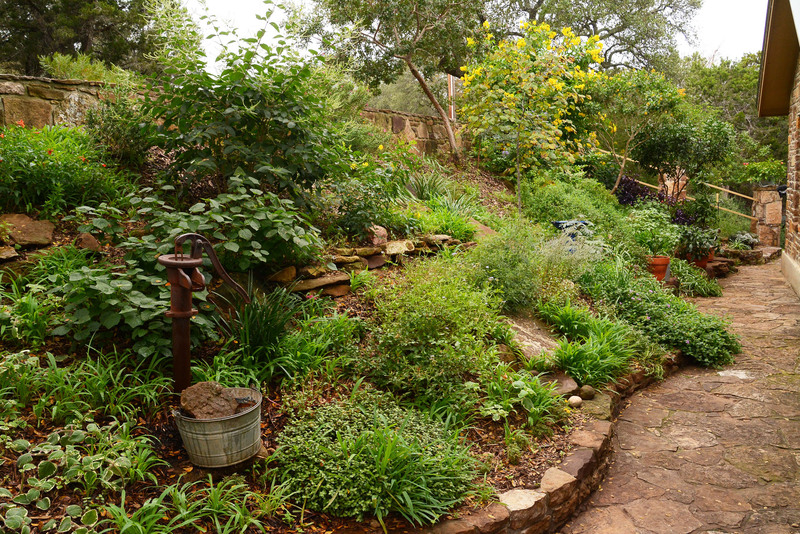 And as with most of our native, low-water use plants, fertilization is really not necessary. They want sun but can also take part sun to even shadier, but will perform best with at least 4 hours of sun. It doesn’t matter if it’s morning or afternoon sun; asters are very adaptable. Their top growth will die back with the first hard freeze. You can wait until spring to cut them back to ground level, or tidy up sooner. Generally, their tidy rosettes appear by early winter. Cut back the stalks to enjoy their winter groundcover. You can plant naturalizing spring bulbs among the rosettes for a pretty winter picture! Cutting them back a few inches throughout the spring reinvigorates growth and makes the plants bushier and healthier, and encourages the plant to form more flower buds. You want to stop pruning by July to allow flower buds to set. Asters are easily divided. When the rosettes form in winter, dig some up and move to other spots. Although we’ve all learned the hard way that nothing is deer proof, fall aster’s aromatic leaves are a little pungent and make this plant deer resistant.